In a recent blog, I 'trailed' a series of three short videos that I would be posting. You can click back storage-hypervisors-need-more-hype/index.html" target="_blank">here to the other blog for a full explanation of the genesis of these pieces.....but the quick version is that I was fortunate to run a panel recently with four of the leading vendors in this space. While we'd expected lots of discussion about their different approaches to the storage hypervisor opportunity, the panelists and I soon realized that basic education about the concept and possibilities was a more pressing need than vendor-specific pitching. Where's The Money In Enterprise Cloud? Forget consumers, or small business. At the 2012 RSA Security Conference, ESG participated on a panel of experts to discuss whether security analytics would soon be considered “big data.” ESG and the other panelists agreed that this intersection was coming, we just weren’t sure of the timing. As we move into the holiday season, and the year winds down, it’s natural to start to think about the things we want in the New Year. I have a small wishlist for Social Enterprise and enterprise applications. These are not predictions. It’s not what I think will happen; it’s what I want to happen. And I don’t always get what I want. More tools to help me get real work done. We’ve come a long way in 2012. More than 60% of the enterprise social network products I’ve looked at this year and many, many enterprise applications have added social workflows to their product features. These dynamic, lightweight tools for organizing and managing work are a real help. Now, we need to see even more tools such as analytics and sharing features woven into the daily worklife. User friendly social analytics. Understanding what happens in the Twitterverse, blogasphere, Facebook community, and other social media and networking sites is critical to all aspects of business. People don’t call to complain or praise or ask. They don’t even e-mail. They just get on top of a social mountain and scream through a virtual megaphone. No company can afford to be running blind when it comes to social media. What I want is not more analytics but easier analytics. These cannot be data scientist products anymore. They need to be tools geared toward marketing, sales, and customer service workers at all level. Oh, I want them less expensive, too. Consolidation amongst social collaboration vendors. You can only slice the baloney so thin before it starts to make a bad sandwich. When I find myself looking at over 30 enterprise social networks alone, I know the market is too fragmented. Ultimately, it makes buying very difficult. Competition is good but so is an organized and cohesive market. Right now, it’s too chaotic. A standard API for enterprise social networks. For the ESN to be of value, it needs to be a part of all the apps in the enterprise. While current efforts by SAP, Oracle, and Microsoft to integrate their ESN offerings into all the applications is the right direction, there will still be a need to integrate different ESN products into their applications and to integrate ESNs into homegrown and other vendors' applications. This is a daunting task for ISVs and IT alike when there are different APIs for every ESN. The industry needs to come together and design an API that provides bidirectional integration in the same way for all ESNs. Even if it’s a least common denominator, that will help a lot. Applications designed for the average knowledge workers. Enterprise applications have evolved into tools for reporting to management. They are generally too cumbersome for average knowledge workers to get real value from. When those same knowledge workers encounter many new generation mobile applications, they say “This is so much easier than the stuff I have at work!” We need to start to pull apart applications into bite sized chunks for different constituents within the enterprise. Those applications then can connect back to the big system of record to preserve and report. a host of DP and backup improvements. Perhaps overshadowed by a good earnings announcement from NetApp last week was an announcement that it closed on an acquisition of CacheIQ. This is a “tuck in” technology acquisition—made for the core IP rather than the product set. It is not material to NetApp from an earnings and expense standpoint, but it is likely to be quite material from a product and technology standpoint. CacheIQ was still in the pretty early stages of product development—it had product concepts and some cool core technology that does data orchestration and QoS leveraging solid state, but nothing really GA on the market. So it was clearly not acquired for the product set or install base! 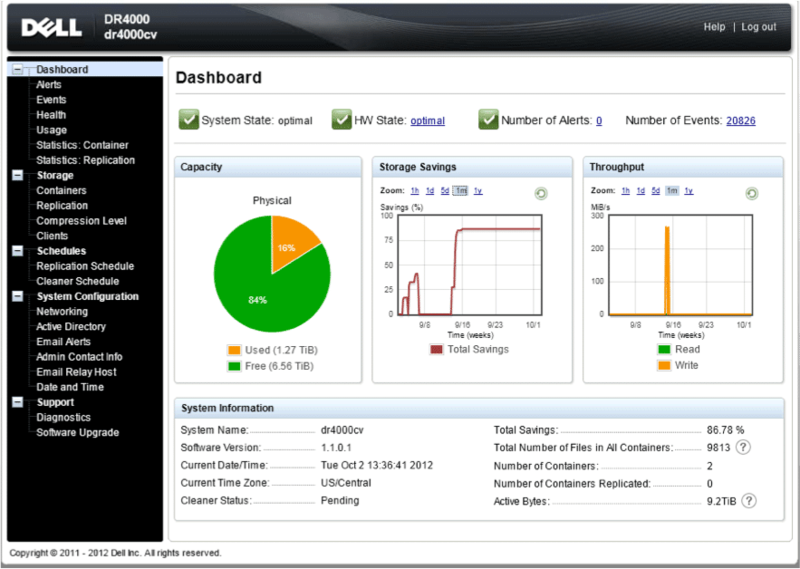 Its technology, however, is a nice fit with NetApp’s vision of clustering and non-stop IT. Think about it—IT is consolidating and virtualizing. As the data center becomes more virtualized and “cloudy,” more and more virtual servers share the storage infrastructure. When a virtual server instance can be provisioned in minutes, that additional workload has an impact on the shared storage environment. The more virtual servers that share the environment, the bigger the ripple effects any service disruption can have. And we are not just talking about availability; NetApp has HA built into the architecture. The key issue is insulation from performance issues that these very dynamic environments can have because of the unpredictability of the environment. Seriously, how can IT provide any QoS and non-stop operations when new workloads can be added to the environment as quickly and easily as they can today? That is some of the secret sauce CacheIQ brings to the table. The fact that Leo Apotheker is not my financial advisor. I'm sure he would have had me buy a tuna fish sandwich, for $1.6 billion dollars. Only then to find out the tuna was bad. The week before last, HDS held its "Influencer Summit"—while one has to love the clarity of the name (talking to a room and web populated by various industry watchers), what soon became obvious was that the "influencer" was HDS itself, more than the audience! I’m writing a while after the event for a couple of reasons—one is that in the meantime, I was at a Dell event (more on that, including some video, next week); and second, more importantly, is the fact that occasionally I want to ensure I am not “BUI” (“Blogging Under the Influence”) and so the passage of a little time is a good thing. In this case, my retrospective view has remained pretty much in line with the Kool Aid in the room at the time. One always wonders what the strategic directions for certain vendors are….and HDS has now laid its mid-to-longer range intentions out very clearly. What makes it interesting—and differentiated—is that it is categorically not just about doing the same thing more and better than it has to date. DoubleDutch Doubles Down for New Generation Apps. This week, DoubleDutch announced an additional $4M in venture financing. Obviously, that’s good for them. It’s even better for the enterprise applications market. This investment adds not only another layer of validation to DoubleDutch, but also to what they are trying to accomplish. DoubleDutch is at the leading edge of a change in the way enterprise applications are designed and used by the average knowledge worker. Business has a new understanding of how we work and different expectations for the applications that support that work. The old way of designing enterprise applications—monolithic, static, centralized, and management-oriented—is giving way to a new way of thinking about how applications affect productivity and efficiency. New generation applications such as those from DoubleDutch do not throw away the process embedded in enterprise applications. Inspired by lightweight mobile, social applications, DoubleDutch and companies like them deconstruct those processes into the types of interactions that different constituents within companies need to have with the system of record to actually accomplish their work in the most efficient manner possible. Moreover, these new generation applications use social collaboration features as a way to glue together disparate parts of the overall process that typically span many enterprise systems. The backend process and the application that supports it never really changes—management still needs reports and the whole process needs to be enforced—but the view into that process changes depending on a person’s job function. Instead of handing a sales person a giant CRM application that tries to do everything possible all at once, most of which she will never use, new generation applications deliver only what that sales person needs. This type of change is playing out across many applications but especially project management and human capital management. The survey results for online file sharing and collaboration (OFS) are in and they show organizations are getting on board with online storage and file sharing services. Currently, 30% of organizations have established a corporate OFS account, and that number is expected to grow to 50% in one year and 80% in two years. Last week I attended HDS's Influencer Summit - which is kind of a silly name, but I suppose appropriate. It's where a company hosts those who are supposed market influencers - analysts, bloggers, etc. What's interesting is that it didn't include traditional media, who I think still have legitimate influence. Different issue. When President Obama was reelected last week, political pundits quickly turned to speculation and prognostication. Was the president’s reelection tantamount to a mandate? Would the election motivate both parties away from partisanship toward more cooperation? Good questions and very timely in light of the oft-mentioned “fiscal cliff” we face in January. Given my particular focus, I immediately began contemplating how the elections would impact Washington in terms of cybersecurity. IT has a complicated relationship with redundancy. Redundancy is built into equipment and processes as a hedge against failures – that’s good. We put redundant power supplies in our equipment so that if one fails the other takes over. We use RAID in various permutations to ensure data protection. We put up duplicate data centers so that if a primary site gets flooded out we have another location from which to work. And we do backups every day and/or every week to make sure we have a redundant copy of our applications and data. And that’s where it gets complicated, because backing up the same data over and over again, day after day, week after week, has a big impact on how much storage we need, how much bandwidth we need for backups, and how long it takes to restore. Redundancy is good – but too much of a good thing can become a problem, affecting cost and performance. In my storage-hypervisors-need-more-hype/index.html" target="_blank">last blog, I 'trailed' a series of three short videos that I would be posting. You can click back to the other blog for a full explanation of the genesis of these pieces.....but the quick version is that I was fortunate to run a panel recently with four of the leading vendors in this space. While we'd expected lots of discussion about their different approaches to the storage hypervisor opportunity, the panelists and I soon realized that basic education about the concept and possibilities was a more pressing need than vendor-specific pitching. 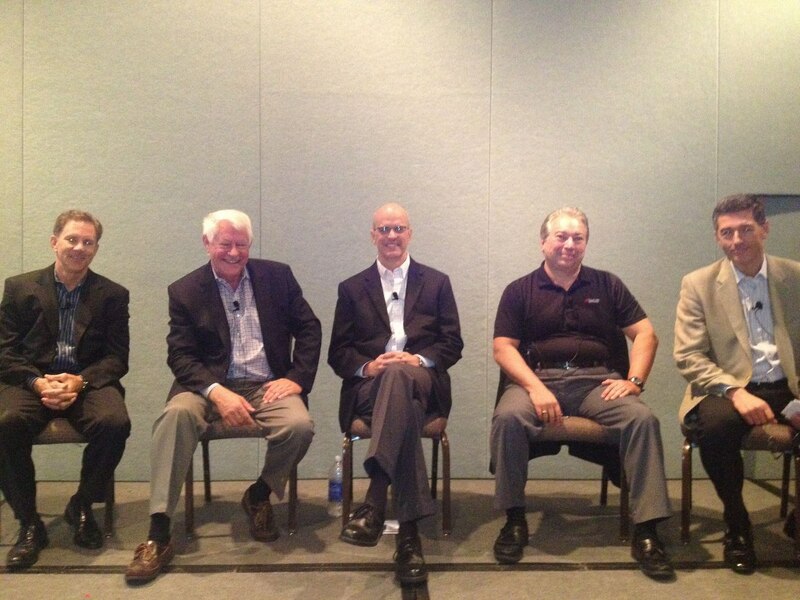 At the recent Storage Networking World event, I moderated a panel on the topic of Storage Hypervisors. We had four experts representing a broad range of the vendors in this space—everything from large to small and from established to start-up. The happy band was made up of Goerge Teixeira (President and CEO, DataCore), Claus Mikkelsen (Chief Scientist, Hitachi Data Systems), Ron Riffe (Business Line Manager, Storage Software, IBM), and Mark Davis (CEO, Virsto Software).You’ll notice that these names appear in alphabetical order of their companies (one can’t be too careful when dealing with multiple vendors…and by the way, if there are others out there who’d like to join our loosely affiliated "group," just give me a call…).